Lewis, we have to start with you. Congratulations on your new contract. Why is Mercedes the right choice for you for the next few years? Lewis HAMILTON: Well, hi, everyone. It’s the first time I’ve seen so many people in the room for a long time. Well, I mean, I’ve been with Mercedes a long, long time, they were a part of getting me to Formula One. When I signed in, what was it – ’97 – at McLaren-Mercedes, they were hugely influential in guiding me to Formula One and I’ve only ever driven for Mercedes, so it was natural to want to continue with them. Plus, obviously I joined this team and we’ve had amazing success. I’m very, very happy with the package and the group of people that I have within this team. So it was a very easy decision to make and it’s also great that the team wanted to continue working with me. This is your ninth Monaco Grand Prix. You were the winner back in 2008, your first championship-winning season. Can you put into words what this event means to you? LH: It’s a great race. It’s great fun. It’s another race. Naturally, it’s special for everyone. But it’s Monaco, I live here, it’s one of my favourite places in the world to go. The track is incredible. It’s the one track we have which is special on another level and it generally always turns our to be one of the most amazing weekends of the year. Not only for us but for people who get to come and enjoy the weekend. OK, thank you for that. Jenson, coming to you, you’ve raced here I think 14 of the last 16 years – you’ve been here 16 years but you’ve raced 14 times – winner in ’09. Is the Monaco win still the most important one on your CV? Jenson BUTTON: Good afternoon everyone. The win? Probably not so much. I think Monaco, as we all know, it’s very difficult to overtake [here]. So Saturday is probably more important than Sunday. Probably the most important pole position I’ve ever had, yeah, and that really made my weekend. You expressed a few concerns about the car during the Spanish Grand Prix last time out. How have those been resolved and what sort of shape does McLaren-Honda present itself here in Monaco this weekend? JB: Yeah, as you might have noticed, I was very outspoken. When emotions are running high you always exaggerate things. It was a tough race for me in Barcelona. It was good to have the test three days later, also in Barcelona, to really put everything right. The car felt much nice to drive, much more consistent, especially on the long-run pace. We also had some new parts to test for this season, but also specifically for here. It was a good test. So, really end of the test, happy and you could see how far we have come since February, as a whole team but especially Honda and the Japanese side of the team. There was so much more confidence within and really happy to complete the amount of laps we did but also to do a lot of very useful work. It was a really good day and hopefully we can carry that through to this weekend. Thank you for that. Marcus, you finished 11th here last year. Obviously you’ve switched teams since then. How do you think the Sauber will go this weekend? Marcus ERICSSON: I think we have a good base to work from. I usually go well on street tracks as well, so I’m looking forward to this one. Like you say last year I had a really good race here, finishing 11th. So hopefully I can finish a couple of places higher and get back in the points. I think that’s the main aim for us. Qualifying for you started well this season but it’s not been so strong since China. What’s the reason for that and how do you feel about qualifying here in Monaco with all the walls and the barriers? ME: Yeah, we’ve been struggling a little bit to get the maximum out on new tyres, whereas in the races we’ve been better. We’ve been working, I think especially in the test in Barcelona, we did some work on one-lap pace and we found some good improvements, so hopefully we can bring that here. Obviously this is very important to have the one-lap pace but I’m feeling confident and hopefully we can be back fighting for points again on Sunday. Thank you for that. Valtteri, perhaps surprisingly you’ve never been in the points or even in Q3 here in Monaco, so is this year that you crack the streets of Monte Carlo? Valtteri BOTTAS: I really hope so. The first year obviously was tough. We didn’t have that easy a car around here and not much space to fight for the points really. Last year was unlucky with engine failure but, yeah, with a normal race we should be able to get some points and I really hope they will be good points as well. Well, Lewis has done his but there’s been a lot of speculation about your future. What’s the right place for Valtteri Bottas going forward? VB: Well, that’s too early to say. At the moment I am completely focusing on getting the best results at this moment, as a team, working, with the best I can do to go forward. It’s too early to say, that’s all I can do. Thank you. Romain, you’ve been in the points in the last three grands prix, getting back into the groove. Do you feel there’s scope to challenge Williams? Romain GROSJEAN: Well, it’s one of the tracks where you always… you don’t know what’s going to happen, how the car is going to work. As everyone says, qualifying is the key around here. Sometimes there is a surprise – I don’t even remember… I went from P19 to P8 last year, after a first-lap puncture. You always have to do your best around the track and avoid any contact with the wall. Tell us about your personal relationship with this track, because you won pole in GP2 but you’ve had mixed fortunes in a Formula One car. How do feel about this place? RG: Yeah, I’ve been winning, I’ve been fast, sometimes too fast for to go our of the race… especially in 2013 when I had the confidence back with my and I was pushing hard. I think I crashed three times in free practice – that was far too much. But it’s all about confidence and finding the limit with the car. There are a few laps where you can really enjoy, which are the qualifying laps, where you take everything you have in the car and try to go around, which is a nice feeling and then when you’re leading the race from pole your life is a bit easier than on other tracks. Coming to you Kimi, you’re another former winner of the Monaco Grand Prix. Is Monaco a race where Ferrari can hope to challenge Mercedes, given the nature of the circuit but particularly the tyres that are on offer this weekend? Kimi RÄIKKÖNEN: It’s hard to say, obviously. We have go into the weekend and see how it goes tomorrow and go from there. But I expect us to be as good as we’ve been this year at least and then obviously whatever happens over the weekends we will see. But I think it’s a pretty normal race weekend for us, even though it’s always a special place. Tell us your assessment of Ferrari’s latest updates, why you made the decisions you did in Spain? Obviously you’ve spoken a bit about that already but having reflected on that since Spain, what do you expect here and going forward? KR: Obviously we think that they are good parts; otherwise they would not be on the car at all. No, there were certain things we wanted to learn and I was prepared to take the chance and work for the long future for all of us. I think we learned things and I’m sure that we will get them working 100 per cent in the future. Maybe here I think they should be fine. You know, every circuit, every condition is different. It was a bit of a tricky weekend for us but I’m sure we’ll be better here and in upcoming races. Like I said, it wasn’t ideal for us but the aim is to improve. We have come still a long way from last year and we want to improve and improve and we have to keep working. Q: (Dan Knutson – Auto Action and Speedsport) Lewis, I’m sure you looked at all options but you also said it was an easy decision to stay at Mercedes. So how much did you look at other options besides Mercedes? LH: I didn’t really at all. I said to Mercedes from the get-go that I wasn’t planning to speak to anyone and I believe that they did the same. Q: (Ian Parkes – Autosport) Two questions for Lewis. Lewis, was there ever any doubt in your mind that you would not re-sign for Mercedes – because talks have been going on now obviously since the second half of last year. And, secondly, you’ll be 33 – sorry to mention that – come the expiry of this contract. Do you feel there’s another contract in you beyond that? Again, either with Mercedes or even potentially with another team? LH: There was never any doubt, honestly. I was led to believe that the team wanted to continue with me and naturally with the success we’ve had and the relationship we have, it felt certain. That’s why I never, ever felt like a) I’ve got to sign on the dotted line now – kind of took my time and didn’t feel like I ever had to… kind of… I wasn’t being challenged elsewhere by another driver so… erm… which was a good thing. What was the next one? You’ll be 33 at the end of the contract, have you got another one in you? LH: That’s not too… that’s pretty young still, hopefully, which I’m grateful for. So yes, definitely. I definitely see me continuing past that. Q: (Chris Medland – F1i.com) Question for Romain. Do you believe Lotus has the sufficient resources in terms of development to move up the top ten, fighting Red Bull and perhaps Williams? RG: I think we are fighting Red Bull at the minute. We’ve been chasing them in Bahrain, we were probably as quick as them, if not quicker in Barcelona so it’s pretty nice. The next target will be to try to close the gap with Williams but we need to find some performance in the car to do so. So, y’know, I think we’ve got a lot of ideas in the pipeline and a lot of good people at the factory. It’s just a question of bringing the parts to the track. Q: (Stuart Codling – F1 Racing) A question for Jenson. Autosport magazine has just launched a global fan survey today with the hashtag #fanfirstf1. Do you think Formula One fans deserve a greater say in the sport’s future – given that the Strategy Group doesn’t seem to be doing a particularly good job of it at the moment? JB: I don’t know how to answer that now you’ve added that bit on at the end! But yes, I think the fans are very important, their opinions, and that’s exactly why the GPDA has a global fan survey which will be announced tomorrow at 1730 – but you knew that already. No, I think it’s massively important because we wouldn’t be here if it wasn’t for the fans. This is a sport that needs fans, we have millions of fans around the world and it’s always interesting to have their opinion. To see where they think the sport it, where they think the sport can go. Obviously we all have our own ideas, which is great, and I think the sport is in a good place right now – but there’s always room for improvement – as there is in any sport, especially a sport that’s always changing like Formula One in terms of technology and what have you. So, I think it’s really important, it’s going to be interesting to see how it goes. Q: (Vladimir Rogovets – Sb Belarus) I have two questions for all drivers. Last time we talk a lot about the future changes in Formula One. For example, the ban of radio communication between the drivers and the teams. First question: your opinion about this ban. Second question: do you like to be not modern in the race without radio communication? Kimi why don’t you answer the first one first about the radio ban. Has it made any difference to you at all? KR: No. For me not – but overall I think it’s not such a big deal to anybody but obviously taking the radio out completely would change a lot and probably in the beginning we wouldn’t finish races but, y’know, I don’t think that’s the way of making F1 more interesting. And what about the idea that, if the technology’s there, why shouldn’t you be able to use it? KR: Yeah, I mean obviously something has to change for the future to make it more interesting, to make it more challenging for us also. It would be nice to see the cars going faster and all those things. Valtteri, what do you think about all of this? VB: I think it’s not a big deal really. Obviously the team can now give us a lot of information to help us. There was already some limitations during last year made and it didn’t make a big difference. Everyone in the team can always adapt to the new rules, so… yeah. RG: More or less the same as Valtteri. It doesn’t change your life. We have a bit more knowledge about those new technologies. It’s less important than it was last year to have information through the radios. Lewis, you have much bigger screens now on the steering wheels, most cars, than we had last year. Is that compensating for the messages that were coming via radio on the whole? LH: I wasn’t expecting another question – I thought Kimi answered it perfectly. Yeah, naturally the screens help give you more feedback. I don’t really have a particular care about either. 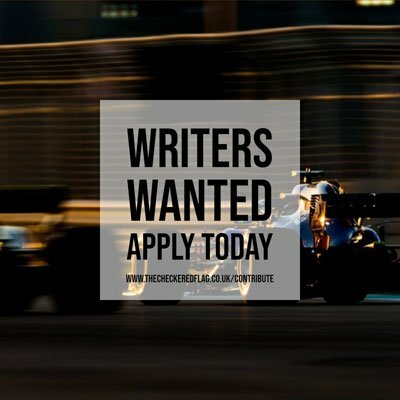 Q: (Sebastian Scott – racedepartment.com) Lewis, signing your three year extension, did you factor in the possible technical changes for the 2017 rules – or did that not really bother you? LH: No, of course. It’d be very silly if I hadn’t taken that into account. That’s generally what you have to do every time you go into… you think about the future, you think about the long run, and naturally, as I said, when I joined this team, I knew where the team was going to, the plans and changes that we’re making to get to where we are now. I would, of course, analyse where the team plans to go, moving forwards –that’s why it was quite an easy decision. Q: (Dan Knutson – AutoAction / Speed Sport magazines) All six of you, just yes or no, would you like to see refuelling return? ME: I like it as it is now. VB: I’ve never tried refuelling so maybe it would be nice to try. All three gentleman in the front row did race with refuelling. Jenson? JB: Yeah, I know – but it’s rubbish as a yes or no question! LH: I’m going to say yes. Q: (Livio Oricchio – GloboSport.com) We can expand this question. In general the packaging the Strategy Group is planning for Formula One 2016, 2017. In general, do you agree with wider cars, wider tyres, more horsepower and – mainly – one team supplying the car for another team? JB: Wow. There’s lots of ideas that have been thrown around – which I think is a good thing. I think, as I said, there’s always room for improvement. For me, the best years that I raced in Formula One, the most fun from a driver’s point of view, was 2004. We had V10 engines, three litre, 900hp, they revved to 21,000rpm, we had a tyre war. It was great – but times change. The costs and everything have to be taken into account and I don’t really know where that puts us for the future. Kimi, did you like what you heard from last week – the suggestions? KR: I don’t really know. More or less. I think it would be nice. Would be good for everybody, and it would look much nicer. It would I think be more like it used to be and I think it’s the right way to go. Hopefully it happens – but we have to wait and see. VB: Yeah, why not. I see, yeah, what I’ve heard from it, it’s nice if the sport could keep developing – and I’m sure that every driver would like the quickest car you can get under you. That’s always more fun. Q: (Christian – Der Tagespiel) Lewis, what exactly took so long for the negotiations? Was it simply the money and do you have an exit option in your contract or will it last three years no matter what? LH: Well, firstly, it’s all confidential so I can’t answer that one. What took long was that… well, we started conversations in February . I took my time. Some weeks I thought about it, some weeks I didn’t. I never felt there was a particular rush. I had this year when I was still contracted so it wasn’t a case where I was studying it every single day. I would kind of go away from it, come back to it, go away from it, come back to it and just took my time really. And it was also the first time I’d ever done it so there was a lot to learn, there was a lot to learn, there was a lot of studying to do, to really understand everything. It was great. I earned my ten percent so I felt great! Q: (Ian Parkes – Autosport) Kimi, I’m sure you’re probably aware that your fellow Finn behind you has been linked with your seat for next year, should you or Ferrari opt not to exercise the extension in your contract. Would Valtteri be a good fit for Ferrari, knowing him as you do and knowing Ferrari as you do and if so, why? KR: Who knows? Even though we are both Finns, we don’t know each other so well. You will have to ask Ferrari what they’re going to do but very certain what will happen and obviously it seems to be every year or every team I am in, it seems I’m being kicked out or a new contract or whatever. I’m not worried about it at all so time will tell, for sure. Q: (Oliver de Wilde – La Dernier Heure Les Sport) Lewis, considering what happened last year in qualifying, does that change your approach for this year’s qualifying? LH: No, generally the same. I arrive here just doing another new race. There’s a lot of areas which… I’m mostly focused on areas that I need to improve on, so it’s an opportunity, another chance. I’ve only won here once in 2008 and that wasn’t even a perfect weekend then so I’m still struggling for that perfect kind of weekend. There are some that the drivers here have had over the years so I’m looking for that. Q: (Daniel Ortelli – Agence France Presse) Jenson, is the GPDA being consulted or listened to with regards to what might happen in 2016 and 2017? And how is that process going on if the GPDA is involved? JB: Well, not yet but I’m sure we will be consulted. I think that we’ve got a lot to give, we’ve got a lot of opinions about how to make the sport better for us – obviously for us as individuals because that’s always going to be the case but for everyone else, I think there’s a lot that can be done. With the experience that we have of driving different cars and putting ourselves in different situations, we can help out and just give an opinion, so I’m sure that will be the case but it’s not the case yet, no. Q: (Barna Zsoldos – Nemzeti Sport) Lewis, at the moment when you sign such a contract which is obviously very very rewarding in financial terms, do you spend some time thinking about the beginnings, the first year of your career, and just how far you have gone, also in terms of money? LH: I think about that every day, really, how far I’ve come. Generally, I’ve been here in Monaco the last two weeks, when I wake up and I go out onto my balcony and look over Monaco and I think ‘this is just crazy’, where from growing up in Peartree Way, coming out of the front doorstep and you look at a hostel in front of where I grew up and of course, I remember every single day like it was yesterday so it’s very very strange to me, to look over that view and you think, ‘wow’. I was just speaking to Jenson, just saying I remember sitting on my… I remember the exact time when I was sitting on my couch watching his first race, when he was 19, at Melbourne. My Dad’s living room was yellow, sitting there watching… obviously it was the weekend so I was still at school and everything. It’s just crazy how time flies. Nothing really changes, except that you can do more things. I do have the coolest job. Q: (Heikki Kulta – Turun Sanomat) Kimi, qualifying being so crucial here, how much more pressure does that put on you when you’re qualifying has not been that great this year? KR: Not any more. Obviously it’s not been ideal. If you think it’s not going to be ideal, it’s probably going to be better than expected. It’s always the important race, but every race is simple in qualifying. This might be a bit more but these days it’s not the easiest thing to overtake. The cars… we do our best, try and get things right all weekend long and be up there. Q: (Livio Oricchio – Globosport.com) Lewis, you had a wonderful season last year until you came to this Grand Prix. Then you started facing a lot of problems. You only got the leadership of the championship in Singapore. Do you feel more prepared to face eventually new situations in this Grand Prix? LH: I think generally in life I’m better prepared. I would hope that would be the case anyway, as you get older and wiser. I definitely feel more prepared than I ever have been in my life but also very wary that there will always be new things and always be bumps in the road up ahead, so lots more things to learn and new experiences which perhaps I’d not anticipated. But coming here, definitely this year, I feel much stronger to be able to deal with perhaps whatever is head of me. Q: (Graham Harris – Motorsport Monday) Romain, Jolyon Palmer said last week that he expects to do ten or eleven FP1 on Fridays this year and the general consensus is that you will be making way for him on all of those Fridays. Firstly, how does this affect you and your race preparation and secondly, is there any reason why you’re not sharing this duty with Pastor? RG: Well, it does affect you quite a lot in terms of preparation for the weekend. FP1 is normally when you test new aero parts and you can do a back-to-back and you know that you do three runs of five or six timed laps and you assess what’s the best part for the weekend and then you get a first idea of the car and then you can do a set-up change for FP2, prepare your diff map, your brake map and then go into FP2. When you only start in FP2 you’ve got five timed laps on prime, three timed laps on option and then you go into your long runs so it’s much harder to chose what is the right set-up and then you can make some changes overnight but again, the Saturday morning is the not the same fuel load and under the same track conditions. Yeah, it does affect you, I believe that’s why not everyone is doing it and the more time you spend in the car the better it is, especially when you have very little testing in a year. As far as I’m aware, at the minute, I will have to leave to Jolyon ten FP1 and this is as it is. LH: Well I do have the choice this year which is good. It’s lucky that I get that in the sense that at the first race we tossed a coin, I guess Nico perhaps won in the first race and chose to go second and from race to race, there’s pros and cons to being the first car or wanting to be one of the latter cars in qualifying, and naturally here, yellow flags and all those kind of things are an issue. To be honest you could get it wrong either way. If you decided to go first and then on your lap there happens to be yellow flags, so… I don’t know. I think we’ll play to be as a team, me and my engineers decide. I’m confident that last year’s episode will not re-occur and so I don’t feel pressured either way. I’m just going with the mindset of trying to be even better than I was last year and do a better lap. Q: (Ian Parkes – Autosport) Jenson, we’ve got these surveys obviously coming out now. Are you confident that the results of them, that the powers that be will listen to these ideas and maybe even action some of them in the future of F1? JB: I think our aim is just to put them in place and to see how it goes. I think that it’s very interesting to see which direction the supporters of this sport and the fans of this sport feel that the sport should go in. It doesn’t mean that it’s going to change anything, it’s just… it’s interesting for us as drivers but I think as us collectively in Formula One, to get a better understanding. And I don’t think it’s been done for a while, so I just think it’s necessary to do and hopefully we’ll get some positive results.